I shamelessly admit it: I am traveling 12,000 miles to eat a mango. Sort of. Ok, that's really not the only reason. 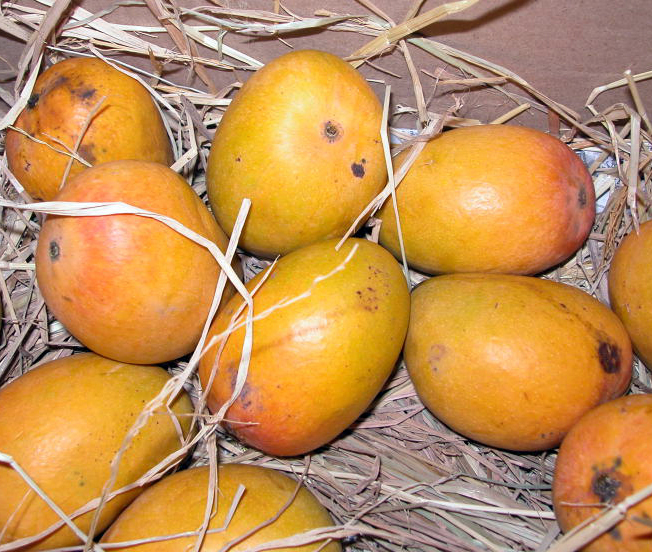 After my friend approached me about joining her on this upcoming jaunt to India, I pulled up a vague memory of this mango-to-end-all-mangoes that I'd heard about which can only be found in India. A quick internet search brought it right up - the Alphonso mango. The mango is already my favorite fruit. So when I get wind of a mango whose flavor and glorious sweetness puts the rest to shame, trying it becomes the next entry on my bucket list. I first heard about the Alphonso in 2007 when the US ended an 18-year ban on the import of Indian mangos (for the love of God, why ban such gloriousness?). A few select businesses in the US ordered them, and some Indians living in the US were ecstatic at the possibility of eating one once again. And then it faded from the news, because it's a *&$%ing mango, and who wants to hear news about fruit when there are wars and celebrities doing mundane things to report on? So while it is legally possible to find an Alphonso somewhere in the US, I bet you're not going to find it in your local Safeway, Publix, or Piggly Wiggly. Therefore, I am off to India to get my mango!